This unique spa is located on a beautiful beach in southern Belize, next to Almond Beach and Jaguar Reef Lodge. Elegant beachfront rooms, a full service spa and a fabulous coffee shop with coffees from the seven countries of Central America. Four things make Butterflies Spa unique. Our location: on the beach in Southern Belize (have a gentle stroll along the beach after your spa treatment), near the longest barrier reef in the western hemisphere, and also a protectted rain forest jungle, with exotic animals, birds and flowers. We are also close by the village of Hopkins, often quoted as the friendliest people in Belize. Take a bike or golf cart in to the village and check out the many small shops and restaurants located in Hopkins. Our size: a small boutique spa where every guest feels special, yet large enough to offer everything you are looking for. 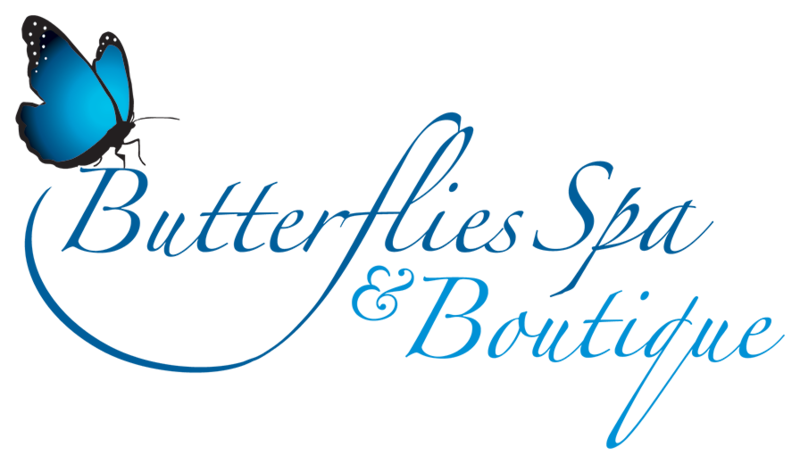 Butterflies Spa offers all of the treatments modern Spa enthusiasts look for, with eight different kinds of massages, scrubs, wraps and polishes, facials, manicures, pedicures, and hair treatments in our four air conditioned treatment rooms. Our therapists: We will reach our eigth anniversary at Butterflies Spa in 2016 and are proud to say that all of our six therapists and two support staff are Belizean, from the nearby villages of Hopkins and Dangriga. Recognizing that there are not many opportunities for top quality massage and cosmetology training in Belize we have from the beginning provided training and assessment in house, with the help of more than nine different North American trainers who have visited Belize over the years to ensure that we provide the highest quality service levels to our guests. Each year we go back to basics in an intensive training and assessment week, where there is much laughter as skills are upgraded and new techniques learned. We are happy to receive rave reviews from the many professional masseurs who stay at our resorts and visit our facility. Our accommodation: Butterflies is owned and operated by two of the family owners of Almond Beach and Jaguar Reef Lodge. You can check out our accommodation on our resort web site, and book a special spa package for your stay with us in our air conditioned rooms and suites located right on the beach. Or combine your spa experience with some of the many different adventure experiences, right from our location - snorkelling, scuba, fishing, Mayan sites, jungle, kayaking and sailing. Enjoy all that Belize has to offer from this very special location.